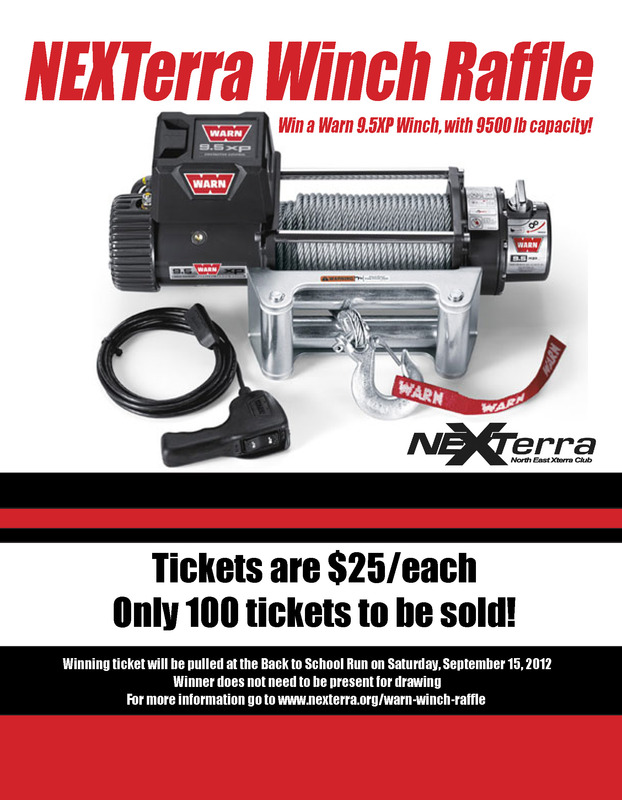 NEXTerra is raffling a Warn 9.5XP winch! And it could be YOURS! – Only 100 tickets to be sold! Once they’re gone – that’s it! – You do not need to be present at the time of the drawing. If you are purchasing tickets via PayPal, our email address is PayPal@nexterra.org. If you are purchasing tickets via Money Order or Cashier’s Check, please send an email to winchraffle@nexterra.org for the address to send the check. Once your payment has been received and confirmed, we will email you your virtual ticket(s). If you have any questions, please feel free to email us at winchraffle@nexterra.org.